The Nutcracker is a holiday season tradition for countless young dancers whose annual turn in the Christmas fantasy marks a celebrated rite of passage. The chance to take part in the enchanting production, full of pageantry and splendor, engages the starry-eyed child dancer, while more advanced ballerinas relish opportunities to be cast in progressively more challenging roles. Walpole’s Naomi Fitzgerald (17) is no stranger to this development. 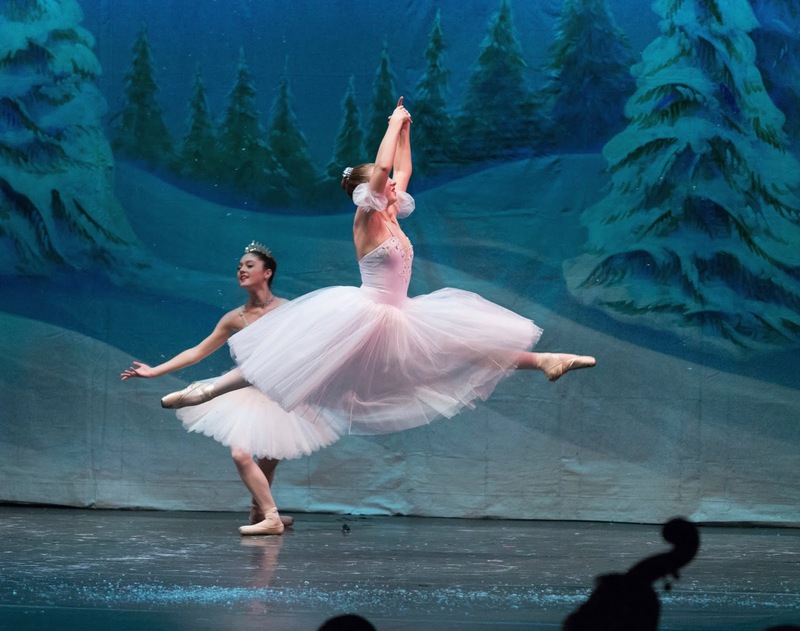 2018 marks her fifth consecutive turn in the classic holiday ballet with the Franklin Performing Arts Company (FPAC). Over the years she has danced countless roles in the ballet including Marzipan Soloist, Harlequin, Soldier Doll, Rose in Waltz of the Flowers, Arabian corp, Spanish, and multiple roles in the snow scene which closes Act One. 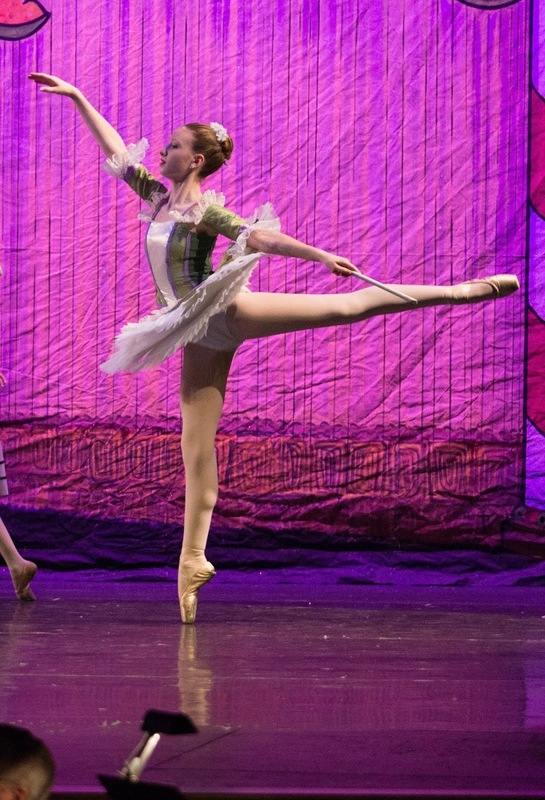 "Particularly for students who start dancing The Nutcracker at younger ages, the ballet becomes tradition, a treasured part of their holiday season," says Director/Choreographer Cheryl Madeux, who formerly danced with the Joffrey Ballet, Hartford Ballet and American Ballet Theatre companies. "As dancers continue to train year after year, they develop the maturity, physically and emotionally, to take on more demanding and age-appropriate roles." Naomi's parts in the ballet's magical snow scene reflect her progression, dancing first as a Junior Snowflake, then as a snowflake and snow princess, and now as Snow Queen. "My first Nutcracker, I instantly fell in love with the snow scene,” says Fitzgerald. “The magic, the excitement, the elegance. I loved every second of it, and watched the Snow Queen in complete awe of her beauty and strength. Getting the opportunity to perform as Snow Queen is an absolute dream come true, and rehearsing under the direction of Cheryl Madeux is an incomparable experience." Cast in multiple roles, Naomi will also dance the parts of Soldier Doll, Spanish, and Rose in Waltz of the Flowers this season. A student in the Ballet Conservatory program at the Franklin School for the Performing Arts (FSPA), where Ms. Madeux is Ballet Director, Naomi also studies multiple dance disciplines as well as voice. Her training has even taken her to New York City for American Ballet Theatre’s New York Summer Intensive. Before focusing her dance studies to ballet, Naomi was a trained Irish Step Dancer with Open Champion status and was a top 10 individual medalist in two New England Region Oireachtas. She was also a member of two 1st Place North American Champion Ceili teams and two 1st Place Irish Dance World Champion Ceil teams, and she performed with WGBH’s A Christmas Celtic Sojourn. FPAC presents The Nutcracker on Saturday, December 1 at 7:30 p.m. and Sunday, December 2 at 2 p.m. at the Franklin High School Auditorium, 218 Oak Street. With special guest artists, world-class musicians and more than 100 area dancers, the fairytale ballet features Boston Ballet Principal dancers Kathleen Breen Combes and Yury Yanowsky in the roles of the Sugar Plum Fairy and her Cavalier. Additionally Rosario Guillen, a student of the Boston Conservatory at Berklee, will dance the part of the Nutcracker/Prince, and New York-based dancer and choreographer Lucas Melfi will dance the role of Dr. Drosselmeyer. The production features a professional orchestra under the direction of Broadway conductor/arranger Eric Stern. With 19 Broadway shows to his credit, including Shrek, Xanadu, Follies, Parade, and Candide, Stern has recorded over 30 albums. He has performed in concert with renowned artists Audra McDonald, Mandy Patinkin, Barbara Cook, Dawn Upshaw, Dianne Reeves, Deborah Voigt, Jesse Norman, Thomas Hampson, the Irish Tenors, and many others. Stern has conducted many of the world's top orchestras including the Cleveland Orchestra, Chicago Symphony Orchestra, London Symphony Orchestra, Orchestra of St. Luke's and Boston Pops. He won an Emmy for his work for PBS, and his albums have been honored with a Grammy and two Gramophone Awards. He has enjoyed a long association with the National Orchestra of Wales as frequent guest conductor, and he currently teaches conducting at Berklee College of Music.